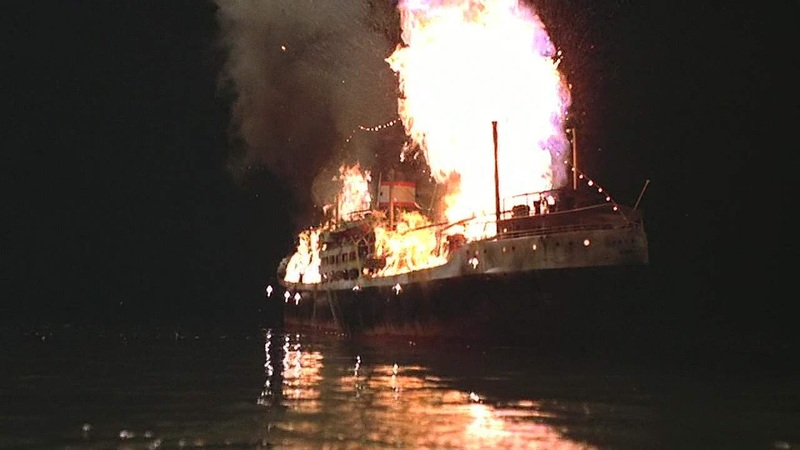 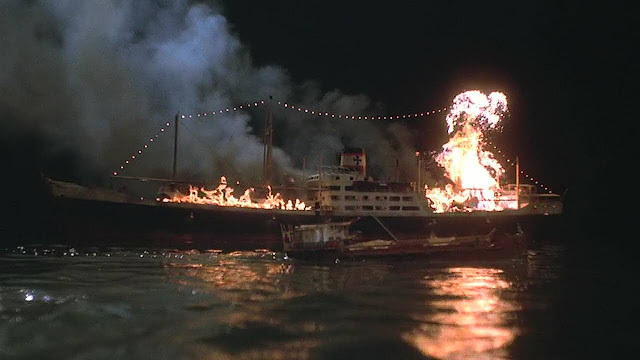 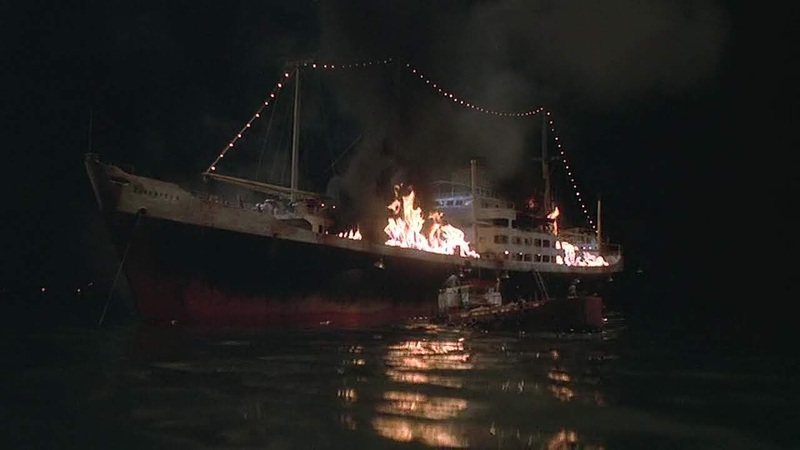 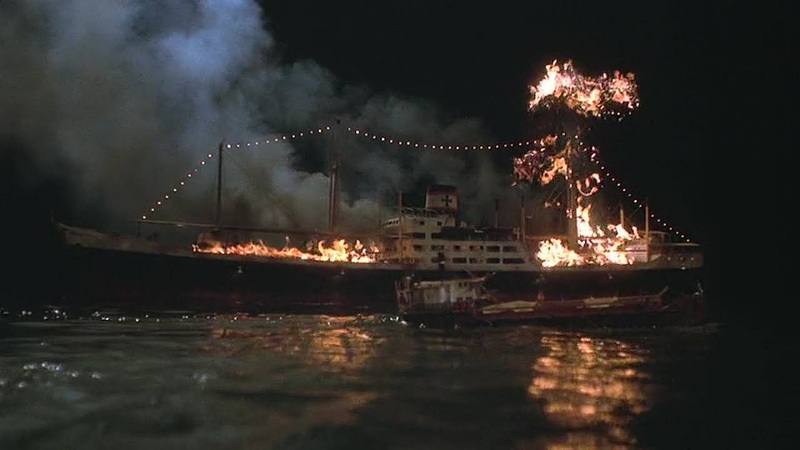 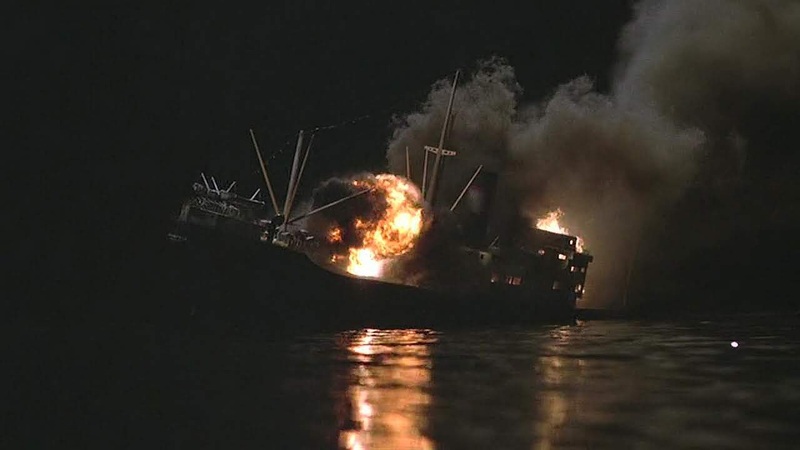 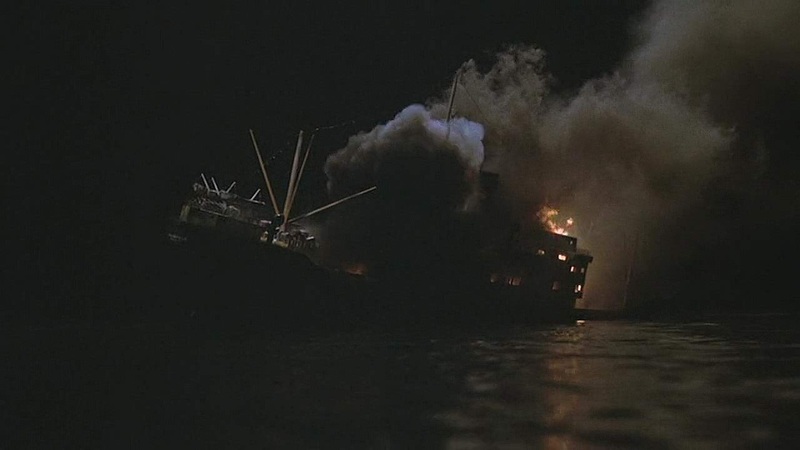 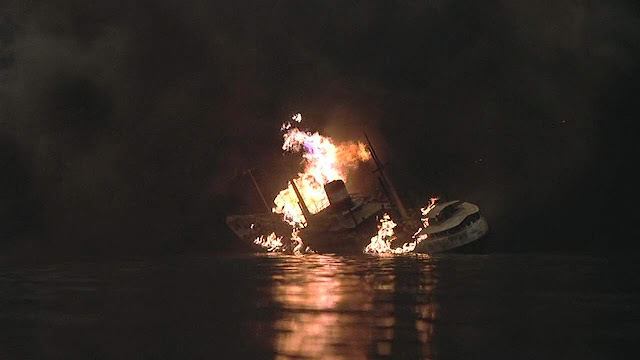 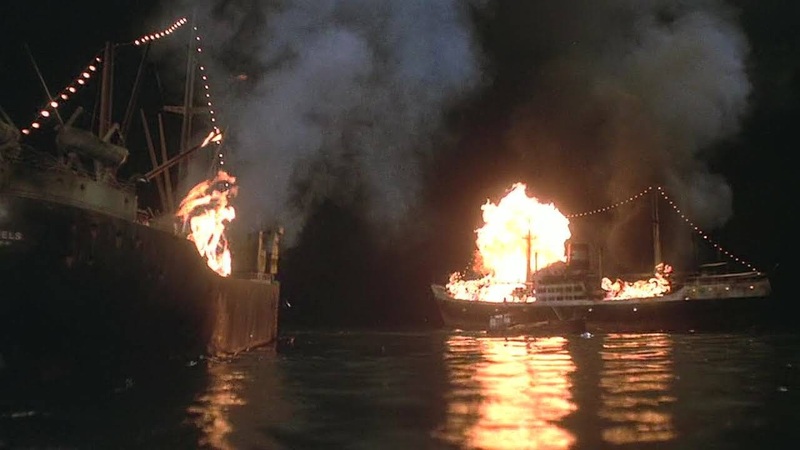 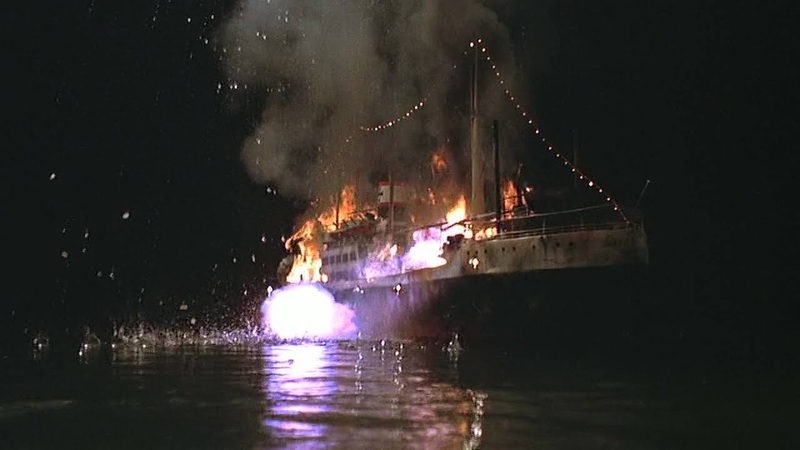 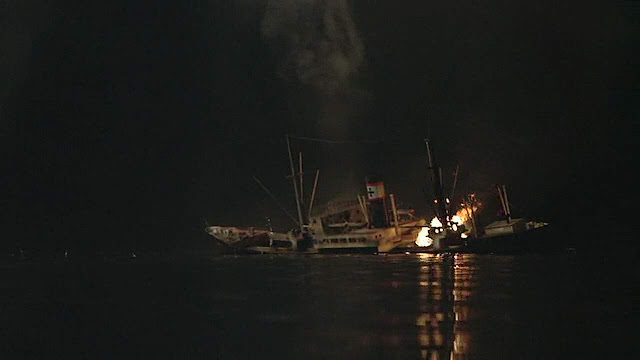 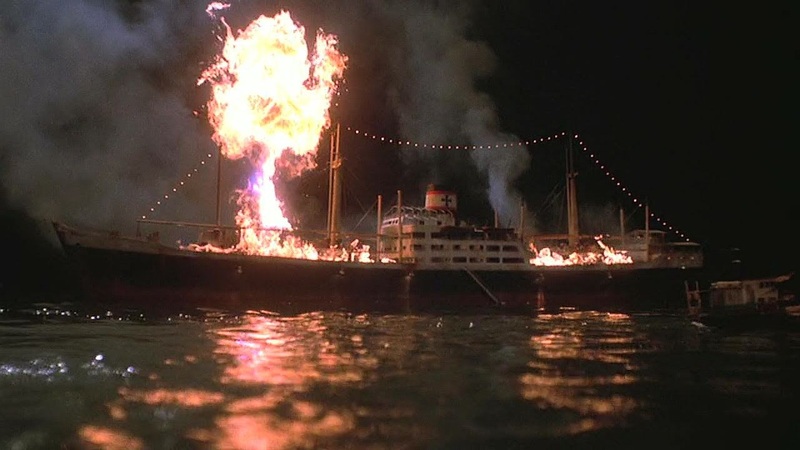 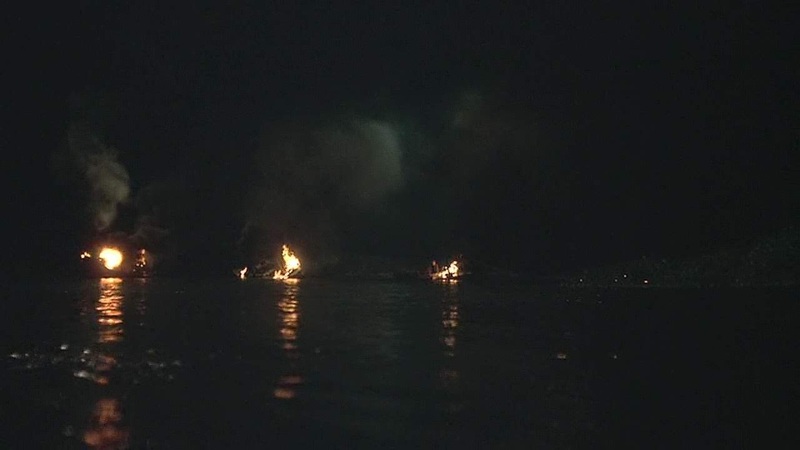 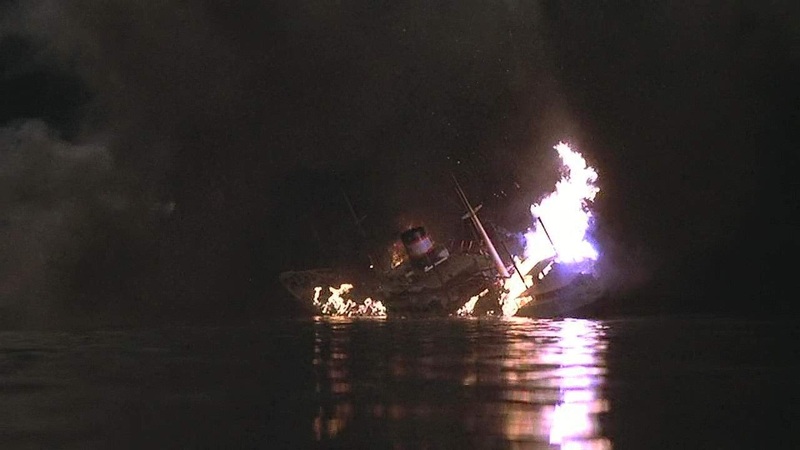 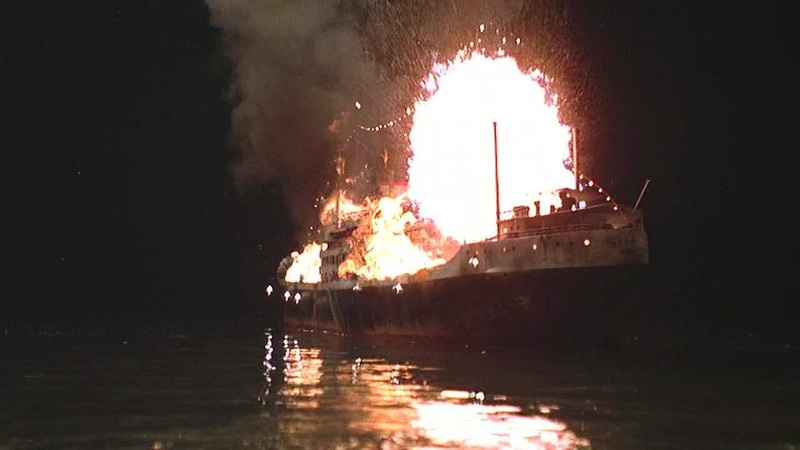 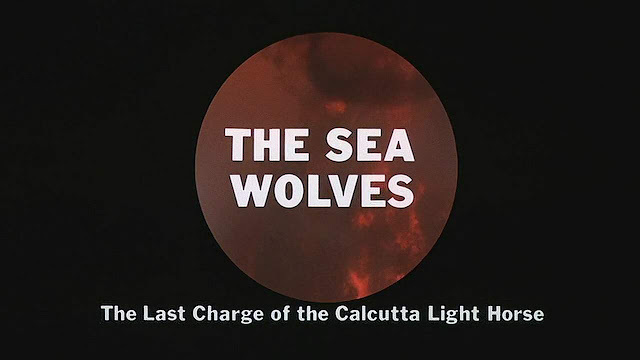 Three miniature ships are blown up at the end of this film by the heroes who employ a smaller vessel also represented in Miniature. 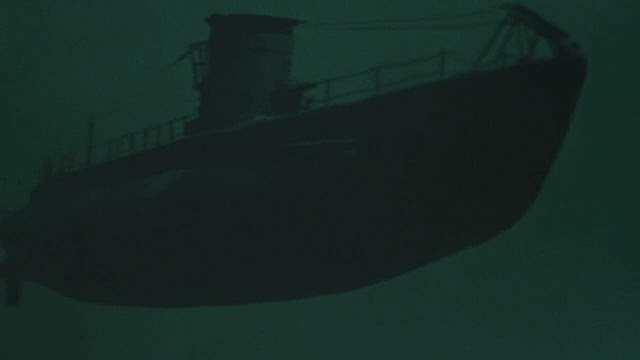 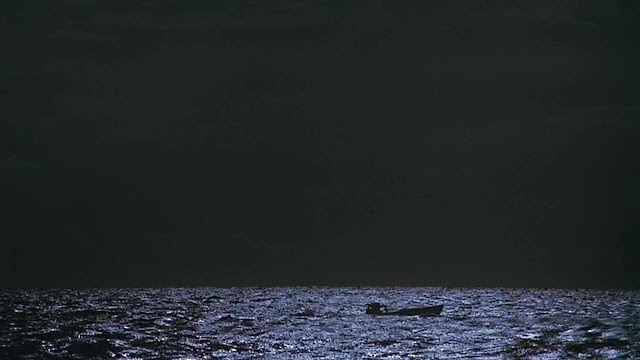 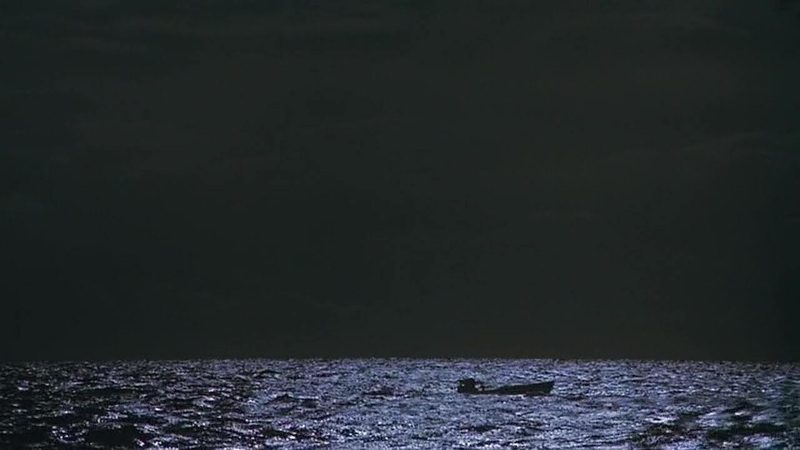 The submarine shots look like stock footage from another production. 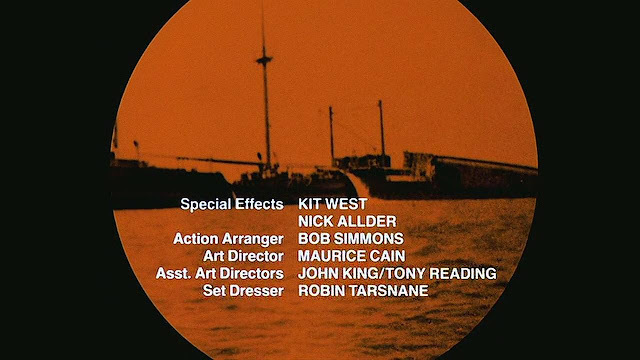 The Moon City Garbage Agency blogsite has the miniature sequences credited to Wally Veevers, while IMDB just credits him with "opticals".